Just two hours south of San Diego, the Valle de Guadalupe is one of the world’s hottest up-and-coming wine regions. I live in San Diego, which means I’ve had the opportunity to easily visit the Valle de Guadalupe wine region in Baja California, Mexico. I’ve crossed the border for many amazing weekend getaways of drinking wine, eating great Baja Med cuisine and of course staying at some great boutique hotels. I’ve done a lot of research for my Valle de Guadalupe wine trips. I’ve even taken a group of travel writers to Baja California for a press trip. It can be difficult to narrow down which wineries to visit, what restaurants to choose and where to stay. Here are some my favorite places in Valle de Guadalupe and some tips for crossing the border as well as having a fabulous time in Baja California wine country! 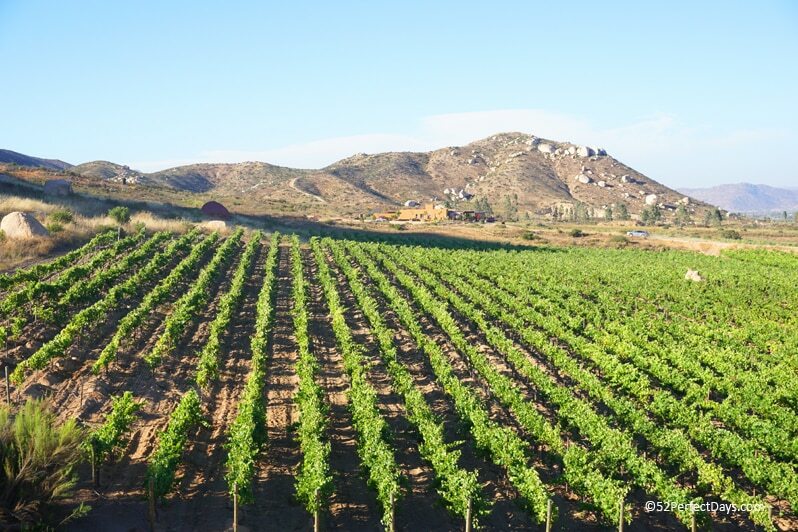 Wine production began in Valle de Guadalupe in 1888 and there is a rich and interesting history about the wine region. Many Russians fleeing religious persecution are some of the first to plant vines in the Guadalupe Valley. There are so many facets that have created the wonderful story of the Valle de Guadalupe wine region. What follows is a Baja California wine country travel guide to help you prepare for your visit. 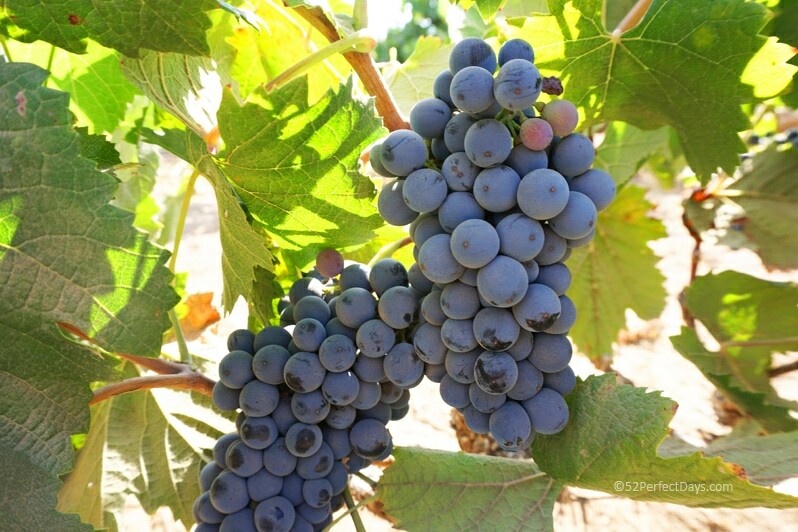 The busiest month for tourism in Valle de Guadalupe, Mexico is August for wine picking/crushing season. The most pleasant time to visit the Guadalupe Valley wine country is spring and fall. Summer is hot (and can be very hot). Of course, visiting mid-week is ideal to avoid the crowds. But, compared to many bigger and more famous wine regions, traveling through the Valle is fairly simple with little traffic. Valle de Guadalupe (Valley of Guadalupe), or Francisco Zarco is a village located in the municipality of Ensenada. The valley is located about 14 miles from the city of Ensenada. The easiest way to get to Valle de Guadalupe is to cross the Mexico border by car in Tijuana or Tecate. From San Diego, you can cross the Mexico border at San Ysidro in Tijuana and follow route 1. The highway hugs the Pacific coast and passes Las Playas de Tijuana, Rosarito Beach, Puerto Nuevo, the famous K-38 surf spot and just before reaching the town of Ensenada, you’ll head inland on highway 3 (La Ruta del Vino). La Ruta del Vino (Highway 3) will take you to boutique haciendas hotels, hillsides of vineyards, architecturally stunning wineries, lavender fields, and outdoor eateries with serving famous Baja Med cuisine. Unlike, Napa Valley, California the Valle wine region isn’t too spread out. On the other hand, you’ll find hand many of the wineries have dirt roads, so you’ll still need to be a bit strategic about visiting and planning for enough drive time. You’ll follow signs for Ruta del Vino which are signs with a “bunch of grapes” and make navigating this wine region a fairly simple task. If you are visiting for the day, you can easily do three wine tastings and either lunch or dinner before heading back to San Diego. I suggest you call, email or connect on social media with each winery and restaurant prior to visiting. Some wineries offer tastings by appointment only. A few wineries offer tours which can be arranged for in English if they know you are coming. Always better to have a reservation. It’s always good to have a few key phrases prepared in Spanish when you visit Valle. But, the truth is most wineries and restaurants will have staff who speak English. Regardless, when you visit another country, it’s always nice to try to speak the language and at least know the basics such as hello (hola), please (por favor), thank you (gracias), where is the bathroom (dónde está el baño) and may I have another glass of wine (¿Puedo tomar otra copa de vino?)! The Villa Montefiori winemaker is from Italy and all of the vines are from Italian rootstock and all of the wines estate grown. The tasting room is located on the second floor above the wine production and storage facilities with magnificent views. They are known for their Aglianico and Nebbiilo. Founded in 2005 Hacienda La Lomita, has a cozy art inspired tasting room. Their wines are known to be bold and fruit-forward. Tours with Enologist Reynaldo to the barrel room and cave, which is built into the land are a must if you visit. This is a very beautiful vineyard has gorgeous mountain views. The Vinas del la Erre tasting area is a large shaded open area (great for hot summer days) that is attached to the wine facility. The winery is known for its big reds that are well balanced, soft on the palette and can be enjoyed all year round. Make sure to ask for winemaker/owner, Ernesto Rocha. If he is on premises, you’ll want to do your tasting with him. 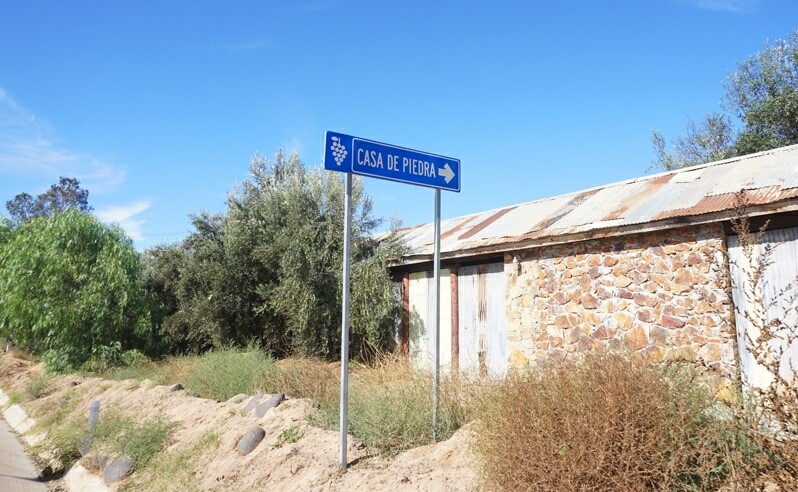 Casa de Piedra is the only winery in the Valle that doesn’t charge for a tasting. During a visit, which is by appointment only, you will enjoy several of their boutique wines aged in 50 % American oak and 50% French oak barrels. Some of their most popular wines are the Piedra del Sol espumoso (sparkling wine), which regularly sells out and their signature red, which is Tempranillo-Cabernet and aged 13 months in the barrel. Baja’s oldest existing winery, Bodegas de Santa Tomás, was founded in 1791. It began commercial production in 1888 and offers one of the best behind the scenes wine tours in the valley. The property is absolutely beautiful with a big open space for tasting. Not only do they have great wines, but they also produce award-winning olive oils. Baron Balché is one of the older wineries in Valle de Guadalupe. The winery has an underground cellar where the wine tour and tasting takes place. The winery currently produces twenty thousand cases a year and ages in barrels from Chile. Balché means sacred drink in Mayan, and their premium wines include Mayan symbols on the labels. Alximia Vino Elemental is a very eclectic winery. The building itself is a piece of art. It’s created with a rounded roof and looks more alien ship than a winery. The strategic design of the winery allows for a gravity system for wine production and a breezy circulation throughout the building. The architecture and the wines are the creation of a father and son who are mathematicians and scientists. The space and wines are very innovative including the names of the wines which are connected to the elements. Viña de Frannes has something no one else does in Valle de Guadalupe. They have Michel Rolland, a famous Bordeaux, France based oenologist as a consultant. They also have the only reverse osmosis winemaking system in Latin America. The wines are very structured and the style is very French. For example, the Cab Franc is light, yet bold. They offer delicious, complex wines that any aficionado would appreciate. They are a bit off the beaten path, so plan for a little extra driving time. Corona del Valle is the most family-friendly winery in the Valle. The have a play area for kids and large a great dirt space (just far enough away) where many kids were riding bikes. The tasting space is shaded and large. While the winery might be family-friendly, they are also the only winery in the Valle to have a wine on the wine list at the world-renown French Laundry in Napa Valley. Note: Most wineries have restaurants. The ones that don’t seem to be in the process of adding dining. Make sure to check before you go, as many of the wineries are also offering top-notch cuisine. A large percentage of restaurants in Valle de Guadalupe are outdoors. Many also have outdoor kitchens, so watching the chef prepare your meal is not uncommon. You’ll also find that the celebrated chefs in Valle de Guadalupe are very sustainable-minded. Many grow their own produce. You’ll find that the vast majority of fish and seafood are sustainable and from the Baja Peninsula. Chef Drew Deckman, grew up in Peachtree City, GA and is a celebrated chef. He spent 10 years in France, Switzerland and Germany cooking with Gastro-Masters and has been awarded a coveted Michelin Star for his work in Restaurant Vitus in Germany. Deckman’s en el Mogor is outdoors and has a rustic charm. The kitchen is an outside grill and as you can image, the food is fantastic. All our Wine, Vegetables, Herbs, Lamb, Olive Oil, and Eggs are estate grown or produced here on the Mogor Ranch. Head chef, Roberto Alcocer of Malva is creating local, sustainable, fresh food that is absolutely beautiful. Chef Alcocer’s food philosophy is based on three things: Mexico, Baja and his personal experiences. The chef says, “Every plate I develop is built on these three things”. With an ever-changing menu, based on seasons and fresh ingredients, eating at Malva is a feast for the eyes and stomach. Doña Esthela is most known for her award for “Tastiest Breakfast in the World” from FoodieHub. What she is most famous for is delicious food, with bold spices. Breakfast is where she shines brightest. Start with homemade tortilla chips and salsa. The house-made machaca (dried, shredded beef) is her award-winning dish. The machaca is spiced with serrano chiles, bell pepper and garlic, scrambled with farm fresh eggs and served with refried beans, warm flour and corn tortillas as well as house-made queso fresco. The focus at Conchas de Piedra is oysters as well as other raw and grilled fish. 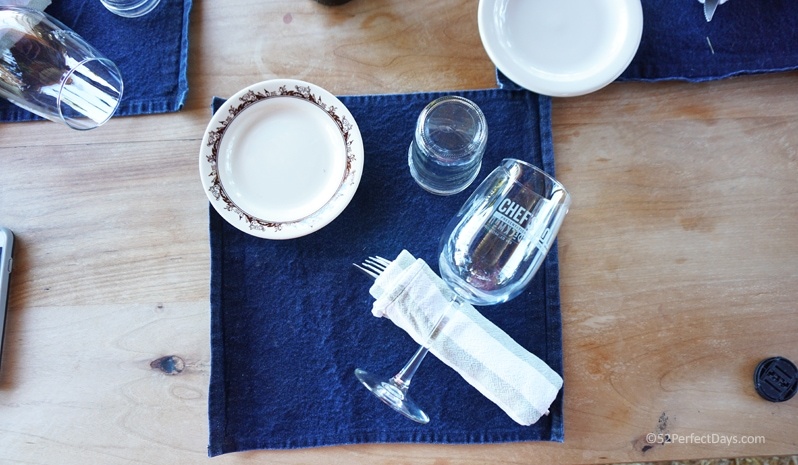 Our meal began with three types of fresh oysters served with a variety of minuets and a glass of sparkling wine. The restaurant is self-described as a celebration of true Baja California terroir and meroir. It’s a marriage of the Mexican wines of Hugo D’Acosta and culinary genius of Chef Drew Deckman, of Deckman’s en el Mogor. Viña de Frannes restaurant is led by Chef Saúl Flores. He offers fresh and original ingredients from the Valle region and many of the dishes are cooked on an outdoor grill or in a wood oven. Dishes are unique and delicious. Everything tastes like it has been made with a focus on slow cooking. A few dishes such as smoked marlin quesadillas, coriander-octopus risotto, slow-cooked pork shank and basil ice cream are a few of my favorites. This beautiful and contemporary museum houses the history of winemaking in Baja as well as the story of the beginnings of winemaking from around the world. Museo De La Vid Y El Vino is a must visit before you head off for wine tasting in the Valle. The Russian Museum highlights 100 years of Kumeyaay culture heritage and the influence of Russian immigrants to this region. There is also a craft center where you can purchase freshly made cheese, bread, and pan Russian. Located at Calle Principal No. 276, in Francisco Zarco. It’s open daily, from 9:00 to 18:00 hrs and the cost is $1.00 USD. Hacienda-style hotels and rustic cabins. A Tuscan villa and safari-style tents. There’s nothing ordinary about the places you can rest your head in and around Guadalupe Valley, as cutting-edge design and creativity infuse all aspects of this wine-country paradise. Adobe Guadalupe is a boutique hotel, winery and riding stables. It is a hacienda style B&B that welcomes guests with open arms. The owner lives in one wing of the property and when you arrive you will truly feel like you have been welcomed into a friend’s home. 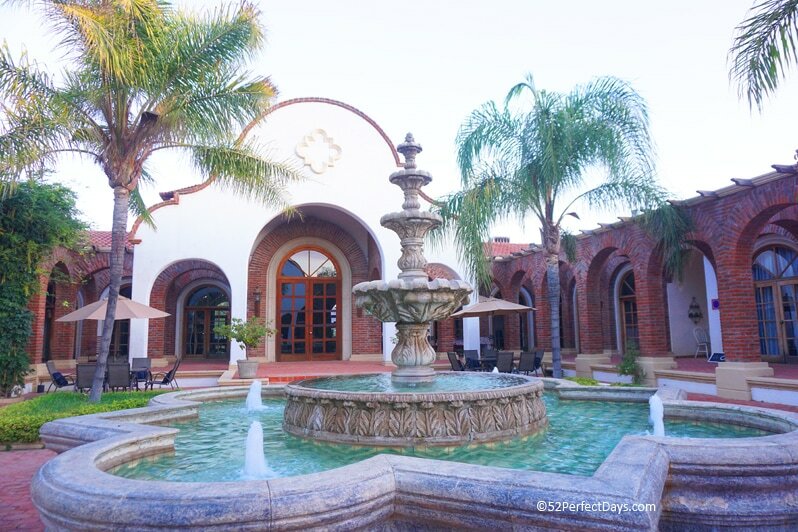 The hacienda is a horseshoe shape that surrounds a beautiful courtyard with a fountain as the centerpiece. There are seven spacious rooms with high ceilings and wood slatted doors that open onto a shared garden patio. Located on the property, is a beautiful tasting room. A wine tasting is included in your stay and offered twice daily. This is a wonderful opportunity to taste the boutique wines as well as learn about Adobe Guadalupe and the fascinating story that brought them to Valle de Guadalupe. This is one of three properties in the Maglen Group. While all of the properties are near each other, each property has its own unique style, character and micro climate. Tesela are single cabins that are a step up from glamping. You have all the amenities of a hotel room with the feel of being in nature. Tesela offers a central area with firepit, chairs, bbq. Perfect for star-gazing or watching the sunrise. El Encinal offers 8 single rooms and 4 studios. Of the three Maglen properties, this is closest to their onsite HaChe Restaurant, headed by Chef Joel Catina. This property has beautiful landscaping with built-in art, sculptures and water fixtures. It’s a gorgeous property to wander through and was built with couples in mind. The villas are set on a hilltop with beautiful views of the vineyards. I hope this guide to the best of Valle de Guadalupe has been helpful and has helped you to prepare for your visit. One warning: plan to fall in love with Mexico wine country. 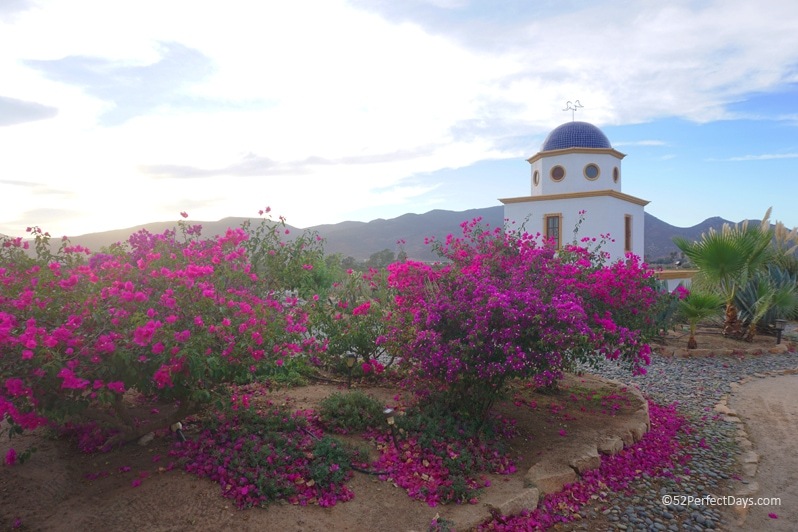 Have you been to Valle de Guadalupe? Do you have any recommendations of favorite wineries, restaurants or hotels to share with us?